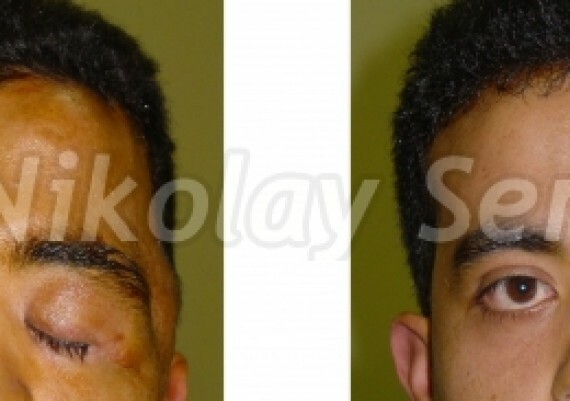 We perform the lateral canthus lifting without leaving scars, using the Serdev Sutures Lifting method. This specific procedure is useful in cases of low lateral position of the eye or large round eyes, “scleral show” in thyrotoxicosis. These problems could be congenital or acquired with age. They can also be due to surgeries, such as excessive skin excision during blepharoplasty, incorrect facelift or after removal of tumors. 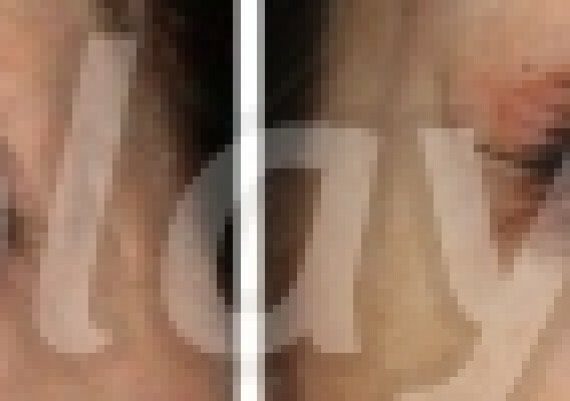 In the case of the first picture below, the patient had an eye tumor removed. This is why the tissues around the eye hang without support. We therefore lifted the lateral canthus (lateral corner) of the eye to a normal position by suture. The eye line is equalised. 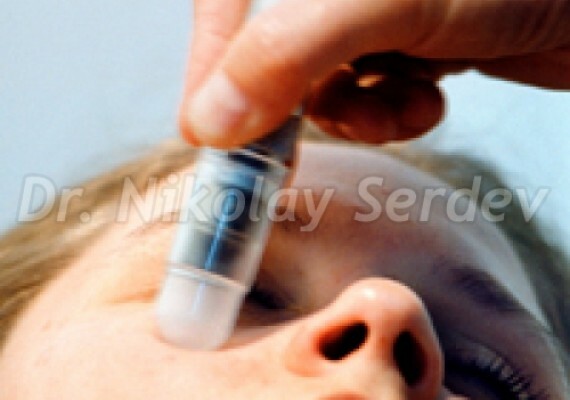 This allows the surgeon to place an artificial eye bulb, helping the patient to achieve a normal look. The suture lifting method of Prof. Dr. Serdev allows for lifting and stable attachment of the lateral canthus (corner) of the eye to the orbit periosteum. There is no cutting and separation of skin. Surgeon and patient plan the angle together. The procedure is performed through skin punctures, under local anesthesia. Thus, we cause no trauma. The result is durable and postoperative recovery is fast. Patients can resume their daily activities within 1-2 days.